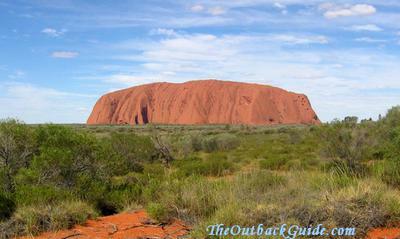 Uluru - Amazing natural wonder of the world! I have climbed Uluru after careful consideration. I respect the local aboriginal culture and they are the traditional owners. I believe ultimately God created everything so he is the original owner of our magnificent universe. We are all told to look after our world and environment. As a farmer I am conscious of this as I want generations to come to be able to farm the land. I don’t think climbing Uluru is hurting nature or the environment by climbing the rock. After climbing it I thought the view was better than I could have imagined. So I think it is a shame that everyone hasn’t got the opportunity to enjoy one of nature’s wonders. Is the 20% visitors climbing Uluru as a result of the aboriginal people requesting people not to climb? If people were not given some pressure (it is a pressure even if people are saying it isn’t) would the percentage of visitors climbing the rock be higher? I probably wouldn’t have gone to Uluru if I couldn’t climb the rock.